Last week I went to knit with Pelehonuamea. 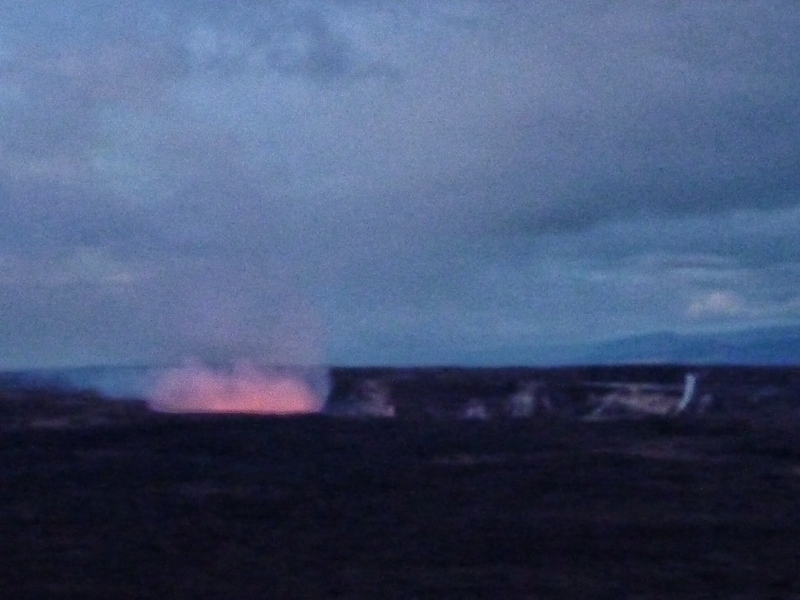 Pele, the fire goddess. 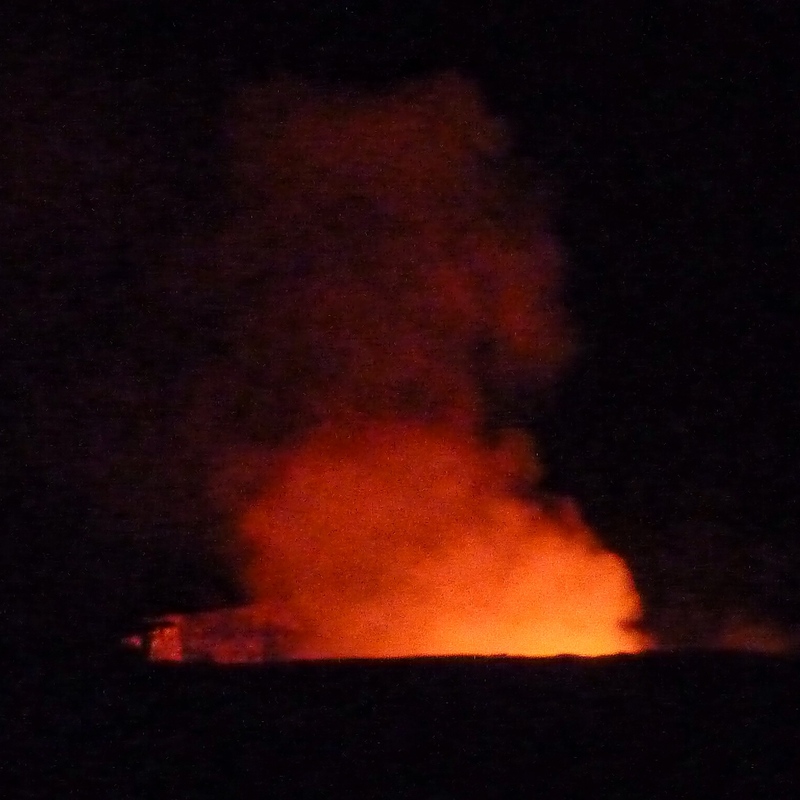 Her home is in the Halema’uma’u Crater in the Kilauea Caldera. 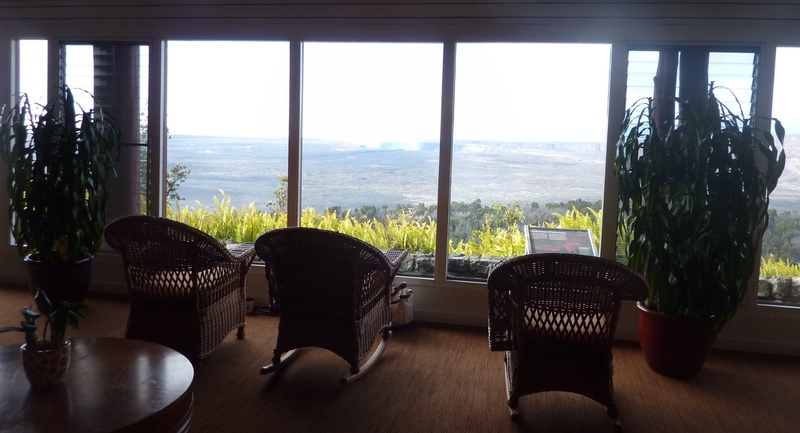 I was afraid that we wouldn’t see the volcano at all; it was rainy and misty when we arrived. 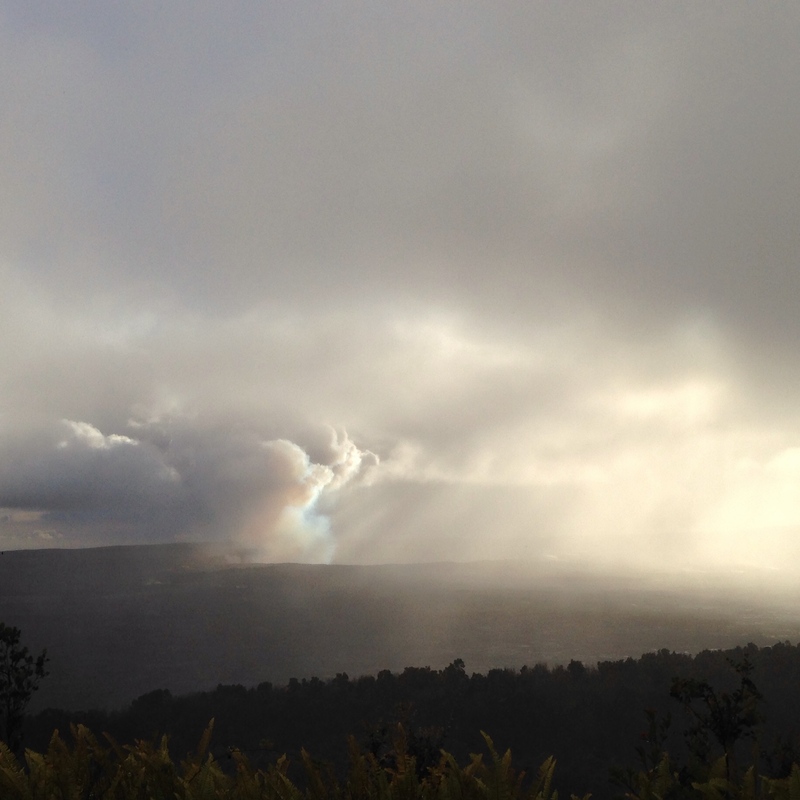 We were encouraged by occasional glimpses that afternoon. 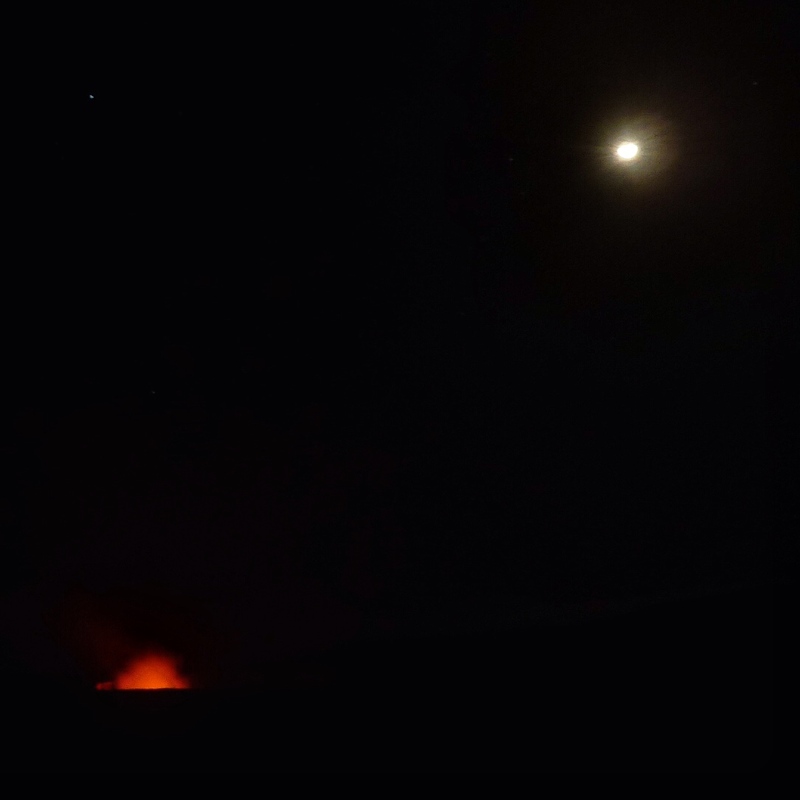 The clouds eventually cleared, and we watched the quarter moon set over Kilauea. The morning glow just before dawn was stunningly beautiful, but hard to photograph. Don’t try to focus on the glow; it’s vapor. 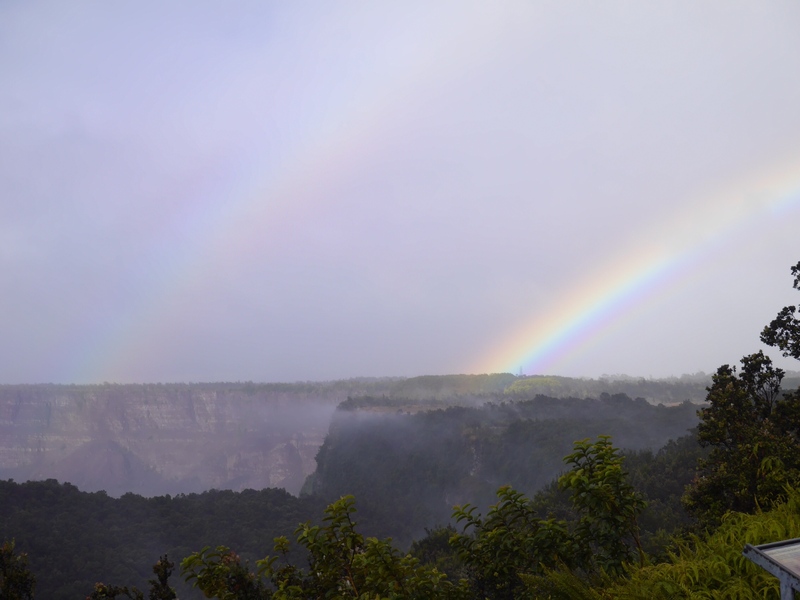 Morning brought more rain, and a double rainbow. 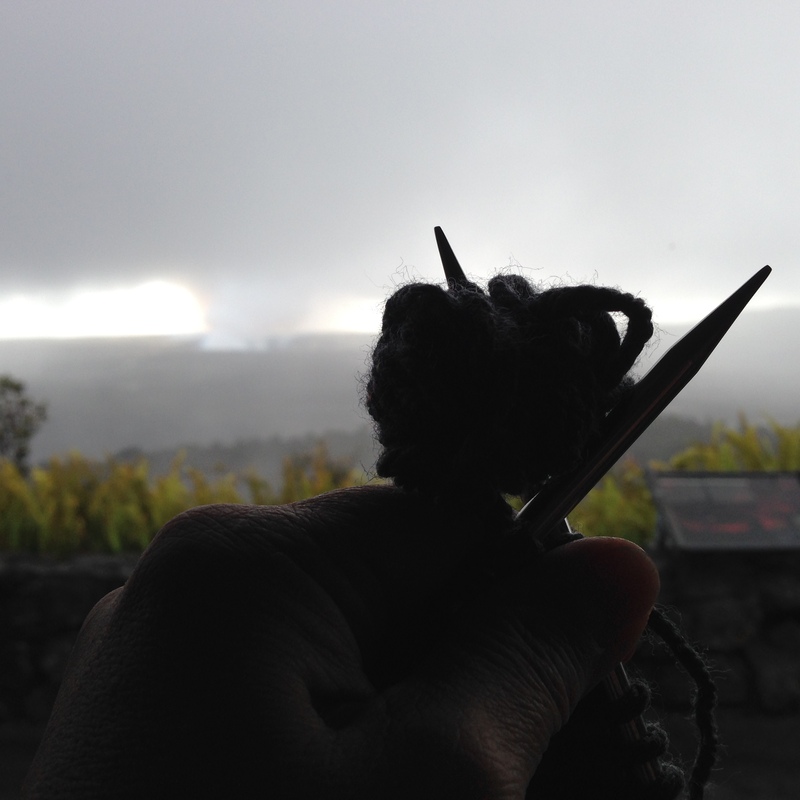 The Meditation Room at the Volcano House was a great place to knit! Ripping and re-knitting. I want this piece to be knittable with 1 skein each of 3 colors, not 1.2 skeins. Plotting and planning. How’s your knitting? Where’s the most unusual place you’ve knit?I know I said I don’t gift knit, but I have one tiny thing to finish before Christmas. Onward! 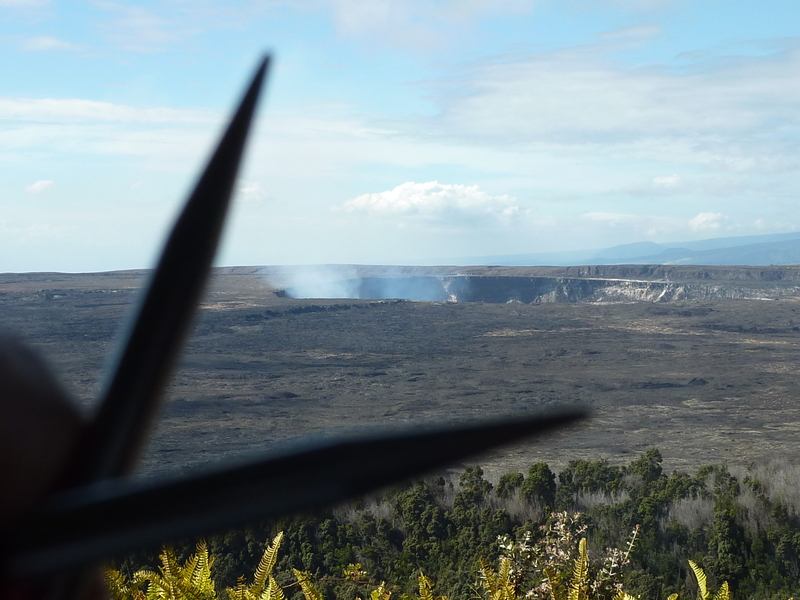 This entry was posted in Knit, travel and tagged halema'uma'u, kilauea, pele, volcano. Bookmark the permalink. My knitting is well behaved for the moment. As for the most unusual….I will have to go with, in a bass boat watching my dad and sister fish. Sounds like a good place to knit! Something to do while waiting for a nibble? I took my knitting, with beads, on a week-long boat trip. Didn’t lose a single bead!